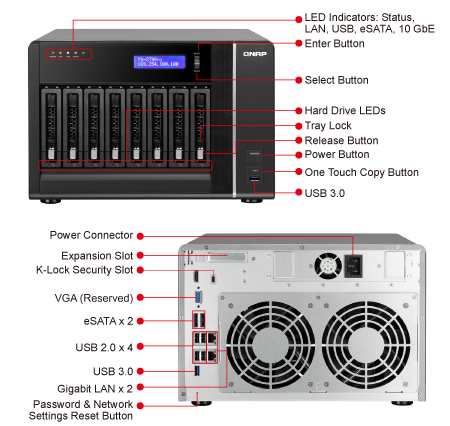 The QNAP VS-8124 Pro+ VioStor NVR (Network Video Recorder) is a 24-channel network surveillance server which supports high quality real-time video/audio monitoring, megapixel recording (up to 10-megapixel), and playback of multiple IP cameras. 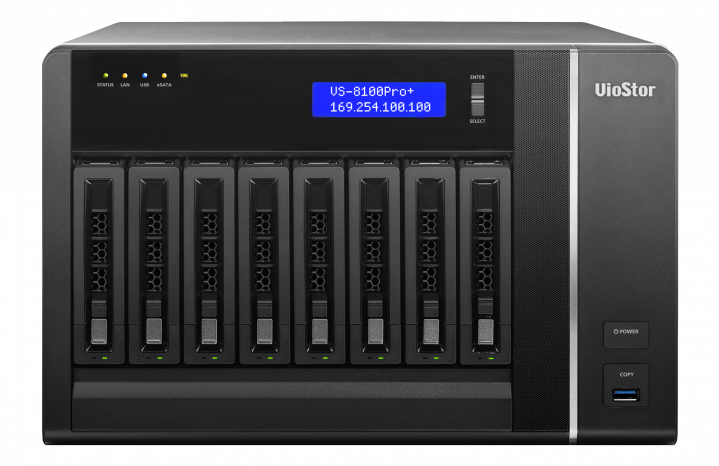 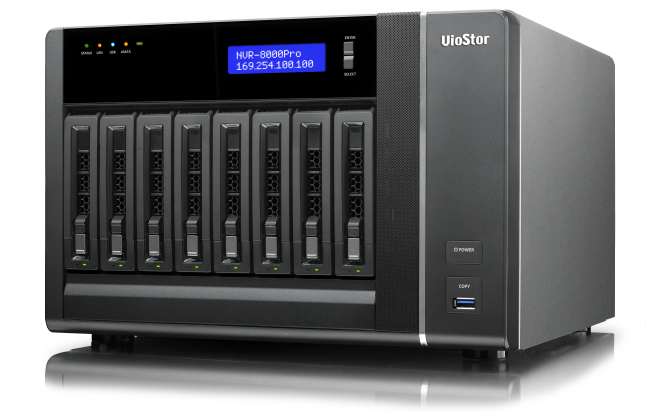 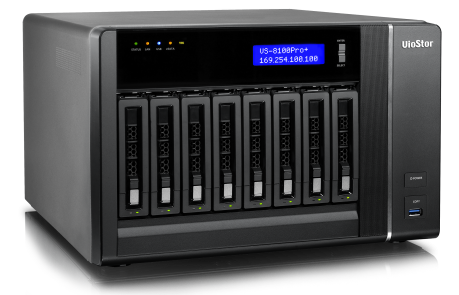 The 8-drive VS-8124 Pro+ offers maximum 24TB physical storage (using 3TB hard drives) with hot-swappable RAID technology for high data redundancy. 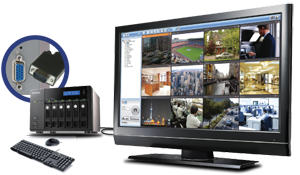 The VS-8124 Pro+ is capable of H.264, MxPEG, MPEG-4, and M-JPEG recording from up to 24 IP cameras. 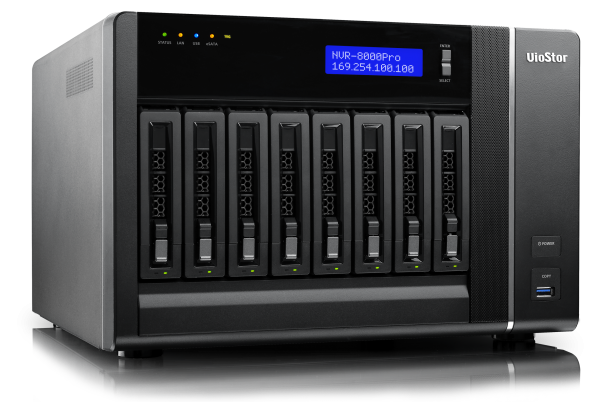 The standalone Linux-based NVR can be easily set up in 6 steps by Internet Explorer without extra software required or even without PC via the HD (high definition) HDMI or VGA local display. 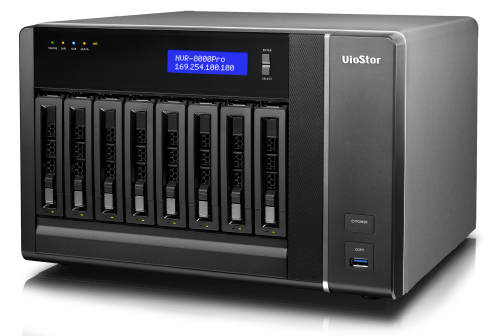 * For VioStor Pro series NVR only. 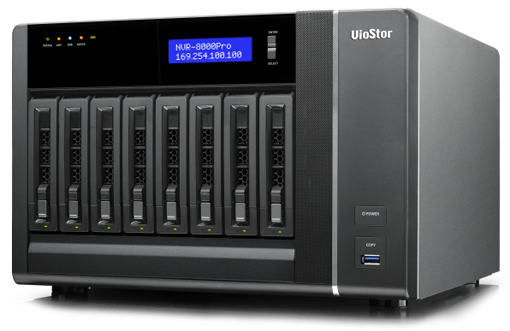 ** The RAID levels supported depend on the number of hard drives installed. 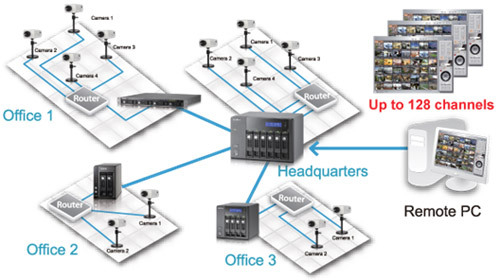 ** The VioStor NVR supports the alarm output of AXIS, Panasonic, SONY, ACTi, and VIVOTEK camera models.